Summer is in full swing here in our home and we are loving it! The end of the school year was a busy one with programs, graduations, baseball tournaments, and a family vacation thrown in right at the beginning. It was busy and we are ready to slow things down a little and enjoy a slower pace. My kids have been so excited to just have time to play with toys, friends, and other summer activities. One of the things they were eagerly anticipating was the release of Disney•Pixar’s Cars 3. My youngest son is a huge Lightning McQueen fan. He’s been asking weekly when the movie is coming out and couldn’t wait to see it last weekend! When we came home from the movie, all the talk in our home centered around our favorite characters. I loved seeing their imaginations light up and didn’t want to waste an opportunity. 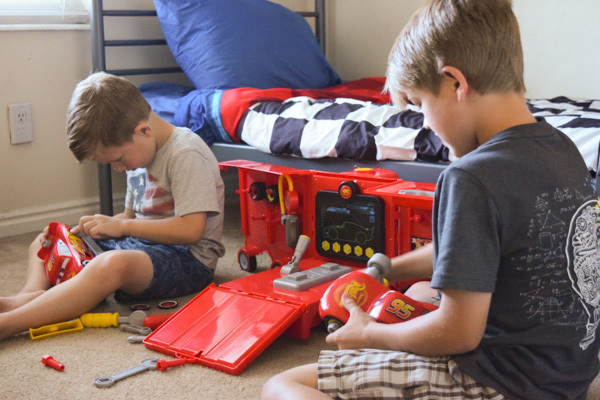 Play time is even more exciting for them now with the Just Play Cars 3 Mack’s Mobile Tool Center and Just Play Cars 3 Transforming McQueen Tool Kit. 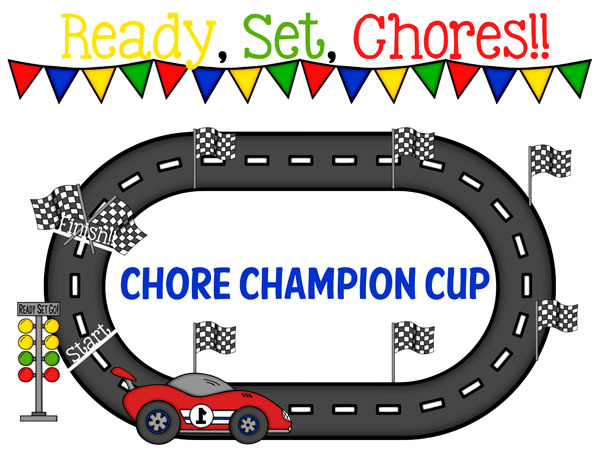 In order to keep them on track for the summer, and not just sitting around doing the same thing, I created a fun Race Track Chore Chart printable. 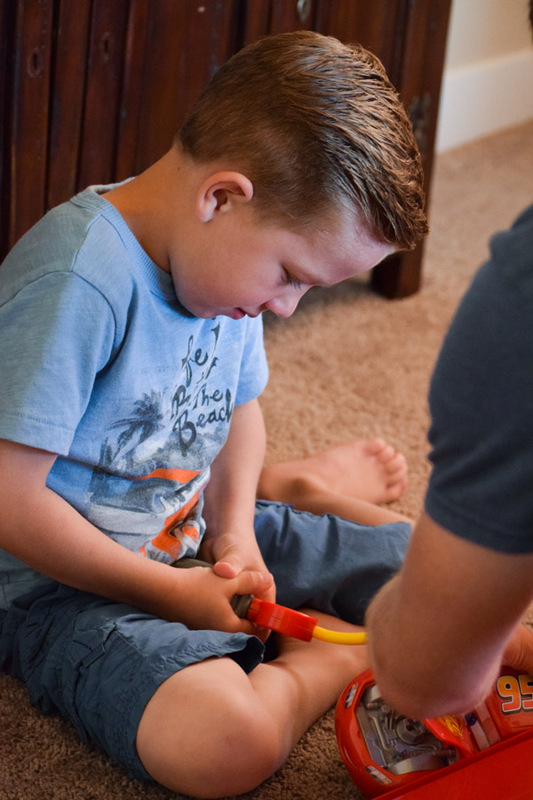 It tracks their playtime, chores, reading, and anything else we want them to do. Honestly, I want them to use their imaginations and have fun being kids, so playtime is one of the most important activities. If you’d like to purchase these fun toys, Amazon has made it easier! Just hover over the photo above and click through to Amazon.com. Fun, right? As I mentioned, we had a family vacation just last week, right after school was out. Before we left, my son couldn’t wait for the package with our Amazon purchase to arrive. Because we were taking a road trip, he knew he’d be able to take the new toys with us. The Just Play Mack’s Mobile Tool Kit comes fully contained with a handle to keep everything safely inside. It fit perfectly in our van and we didn’t lose anything. And my son was able to play with the Transforming McQueen Tool Kit on the drive. When we arrived at our destination, my son easily carried his new toys inside and got immediately to work. 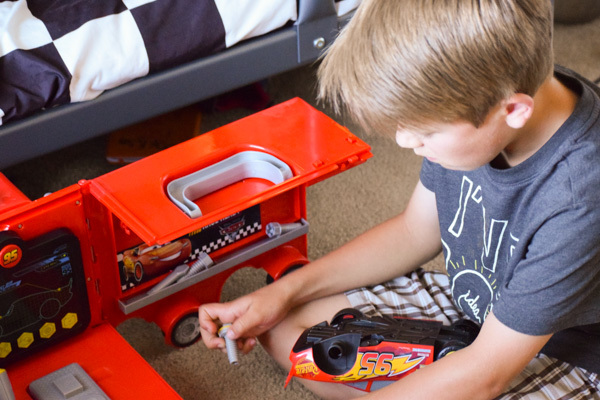 With 24 pieces, the Mack Mobile Tool Kit has many different hands on activities that kept him busy for hours. 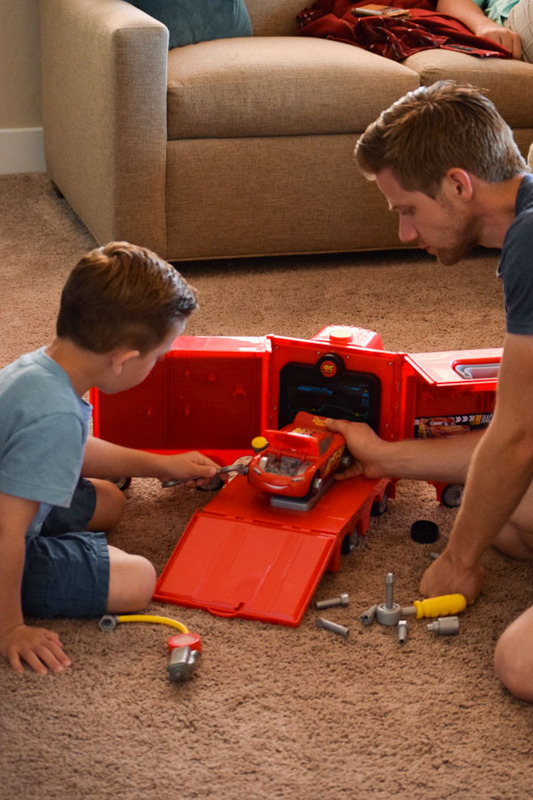 The Transforming McQueen Tool Kit adds even more fun to play time! My oldest son joined in on the fun and the two boys had a blast customizing Lightning McQueen. The kit comes with spoilers, wheel covers, exhaust pipes, and all the tools needed to make Lightening unique. Between the two toys, our boys were occupied! I loved that they were able to work together. It was so precious to hear them talk about what they were doing to fix up Lightning and praise each other for their unique touches. 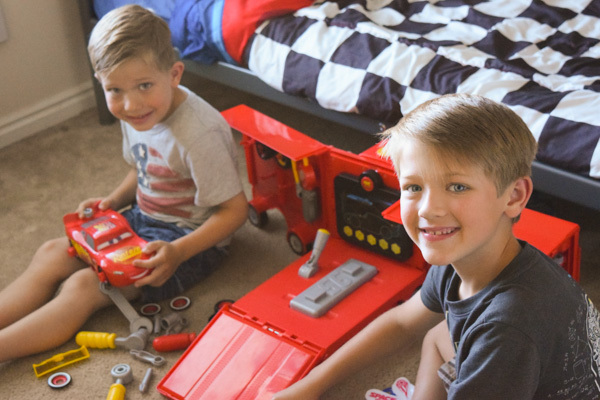 With endless creativity, the Cars toys are the perfect addition to our toy room. When we returned home, we were excited to have more time to play and enjoy our summer. But I still needed something to keep the kids from hitting a summer slump. I don’t want them losing their momentum with what they learned in school, helping around the house with chores, and losing touch with their imaginations. I’ve learned over the years that having something to track, along with a goal, helps keep them motivated. This Race Track Chore Chart does exactly that! 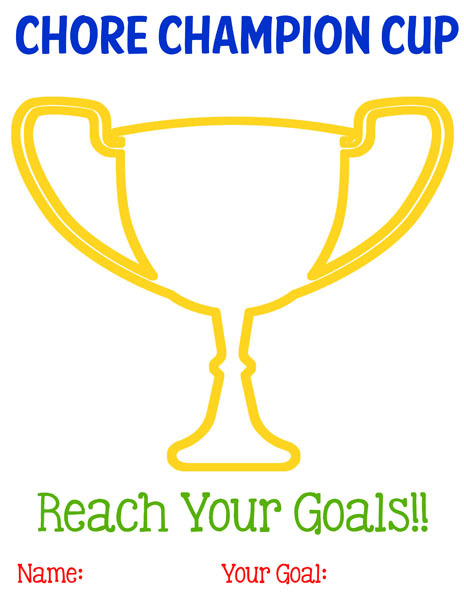 It tracks their daily progress through each goal and tracks their overall efforts towards an end goal. All you need to do is print off the Race Track, the cars, and the championship tracking cup. If you’d like to keep reusing the Race Track and cars, I’d recommend laminating them so you can change out the chores more easily. You can personalize them too by adding each child’s name to the cars. My kids have similar things we’d like them to do each day so we are able to just use the one track. If you have different chores for each of them, print off a race track for each child and then customize it by adding the chores and activities they need to complete to each stop along the track. At the end of the day, check their progress and add it to the Championship cup tracking page. This something extra that we do with our kids because they accomplish more if they have motivation. Each day, they can earn so many points by completing at stop (one of the flags) on the race track. If they complete the entire track, we also give them a bonus point. We use the tracking page to add up the points each day. When the points fill up, they receive their reward. Generally, the reward is a date with mom and or dad, a trip to the bookstore, or a family activity like getting our favorite treat. The kids and I enjoy seeing their progress each day. They get excited as they see the points adding up and they’ve even been doing extra chores for bonus points! One of the most important stops on the chart is the play time stop. I’ve always encouraged my children to take time each day to play with their toys and use their imaginations. We’re all happy to have the Cars 3 toys to help us with our creative play! 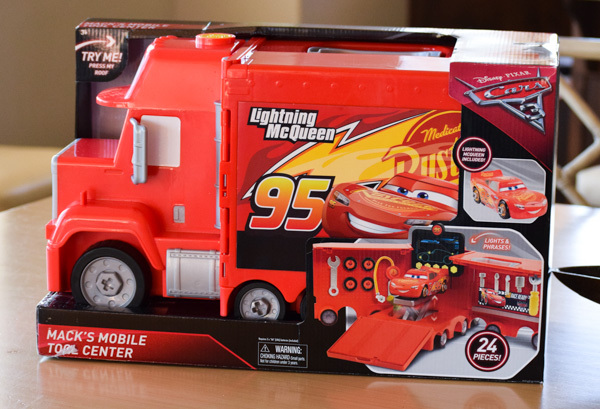 Visit Amazon, the Ultimate Pit Stop for Disney•Pixar’s Cars 3 merchandise, and look for these fun items to add to your Cars 3 collections: LEGO Juniors Thunder Hollow Crazy 8 Race Building Kit, Disney•Pixar Cars 3 Crazy 8 Crashers Smash & Crash Derby Playset, Disney•Pixar’s Cars 3 Apparel, and Disney•Pixar’s Cars 3 Bedding. You can download the Race Track Chore Chart by clicking below. What do you do to keep your kids “on track”? Learn more about Disney•Pixar’s Cars 3 by connecting with Disney and Amazon on their social channels.